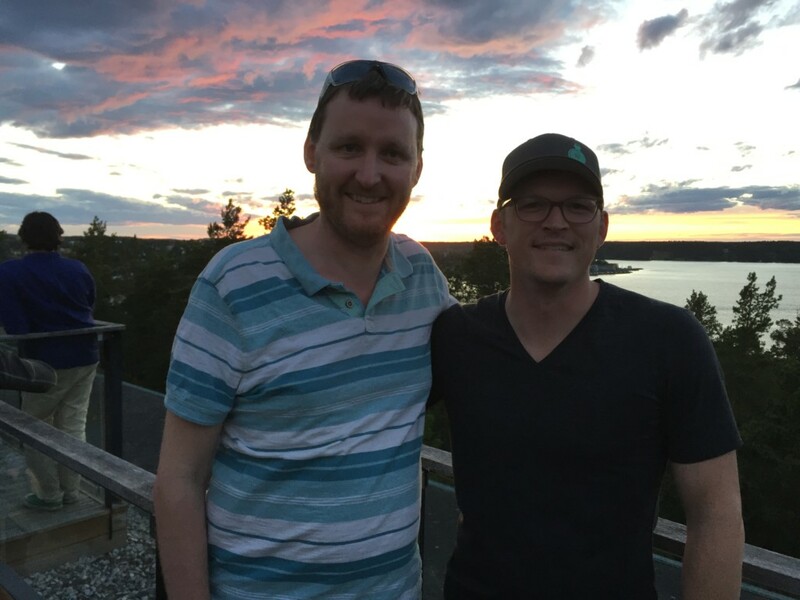 In mid-June my wife and I flew to Stockholm for a short vacation followed by Double Your Freelancing Conference 2017. One of the changes that the organizer, Brennan Dunn, made this year was setting aside time for “implementation” on Sunday afternoon. If you are anything like me, you furiously scribble notes at conferences. The talks and conversations get your synapses firing, and pretty soon, you have a new to-do list half a mile long. Once you get to the end, money will come out of your eyeballs. And you will have solved world hunger. And what about that other to-do list? The one on pause while you’re at the conference? It doesn’t take care of itself. Once the glow fades, it snaps its teeth at you. Your inbox also prepares to devour you. Time for implementation gave me a bit of a head start on my new to-do list before I plunged back into the fray of the old one. Post-conference, the challenge is doing both: Taking care of existing clients and finishing existing projects while also applying newfound knowledge and tactics so that I can convert the conference and conversations into meaningful progress. Beyond the fun, new client work has come out of these friends, enough to pay for the various conferences and travel costs several times over. But you know what I mean: We go to conferences because we want to level up. We want clarity and breakthrough. We want to be in a very different place by the same time the next year. So in an effort to crystallize what I learned and help to ensure I follow through with important tasks that I identified, I am going to share my new to-do list. 1) Add a new web page for Roadmapping Sessions on Wunderbarworks.com. I do several of these Roadmapping Sessions each month, and these, along with my Minimum Engagement, represent the two corridors down which I walk all new clients. After listening to Jane Portman’s talk, I decided to go ahead and just add the page to my website. I’ve already got all of the copy that I sent to people who express interest in working with me. And it’s not like I’m trying to be secretive about Roadmapping. For goodness sake, I poached the idea from Brennan Dunn! 2) Map out a productized consulting “ladder” for Wunderbar LLC. 3) Pick a brand name for the freelance coaching arm of AustinLChurch.com. I’ve had the domain for over a year, but even without a dedicated landing page, I can still sell that service on my blog. 4) Set up a questionnaire that my clients can fill out when I request testimonials from them. Shai Shechter mentioned this list of six questions that Jonathan Stark uses when he asks for testimonials. Stark actually pulled them from Sean D’Souza. Here is the first version of my new questionnaire: https://austinlchurch.typeform.com/to/jTulJP. 5) Use longer Facebook posts as mini blog posts. Mocja Mars spoke at length about how longer posts of two or more paragraphs are working well. You can even take a section from a blog post and reformat it for Facebook. If you start to see some engagement, boost the post. Facebook does you the courtesy of pixeling anyone who engages with it so that you can re-market more content to them later—and eventually sell them a relevant training product. I have known for awhile that my online marketing funnel has several gaps. Consistent traffic is probably the biggest one. Needless to say, I got excited about having a clear path forward, in terms of strategy. You can check out my first longer Facebook post about picking a freelance writing niche here. 6) Use this Facebook strategy for SPACE Retreat. I’ve been able to generate some interest around the business retreats that I host twice a year, in part because Chris Guillebeau did a podcast episode about SPACE Retreat. But I would like to see a bigger pool of applicants for each retreat, and I just need to write more about the retreats in general. One of the most valuable things about conferences is that they help you think about old “problems” in new ways. For example, Mojca’s talk got me thinking about SPACE Retreat, which got me to thinking about Google Analytics. Despite the fact that the SPACE Retreat page is one of the most popular pages on AustinLChurch.com, very few of these visitors were filling out the application. A 3% completion rate told me that I needed to update the application. In other words, I didn’t go to DYFConf in Europe thinking about the low completion rate on the SPACE Retreat Typeform. Far from it. But sparks fly when lots of smart, passionate people converge in the same room. My side hustle benefited as a result. 7) Figure out the “left to right” for my products for freelance writers. I’ve got “29 Days to Your First (or Next) High-Paying Writing Client” and other training products on one end of the spectrum and one-on-one coaching and high-end retreats on the other end. How my email sequences and marketing automation moves people from one step to the next still needs to be hashed out. 8) Identify pieces for my new freelance writer invoices. I love how Sean thinks, and spending time with Sean and his wife Renuka was one of the highlights. 10) Add the two “29 Days to Your First (or Next) High-Paying Writing Client” products to SendOwl (affiliate link), which is my favorite e-commerce solution. My designer finished the final version of the guide while I was traveling. I obviously can’t sell “29 Days” unless I give people a way to pay for it. If you’d like to check out those emails, you can subscribe here. Since the conference I have added two more emails where I incorporate Sean D’Souza’s yes-yes pricing strategy. (Thanks, Sean!) Now that the nurture sequence is “intact,” freelance writers can actually buy the guide. Maybe that’s the biggest takeaway of all: If you’ve got something to sell, make it easy for people to buy it. That may seem like common sense, yet so much e-commerce involves unnecessary friction. 12) Buy this umbrella from Blunt. Sean mentioned it in his talk, and he had me at “tested up to 72 mph or Force 11 winds.” Umm… yes, please. That’s all, folks. I hope my list has helped you in some small way.